2 Skeins Isaac Mizrahi Skyscraper, woolworth shown (332 yds) Michael’s exclusive only, in store or online. 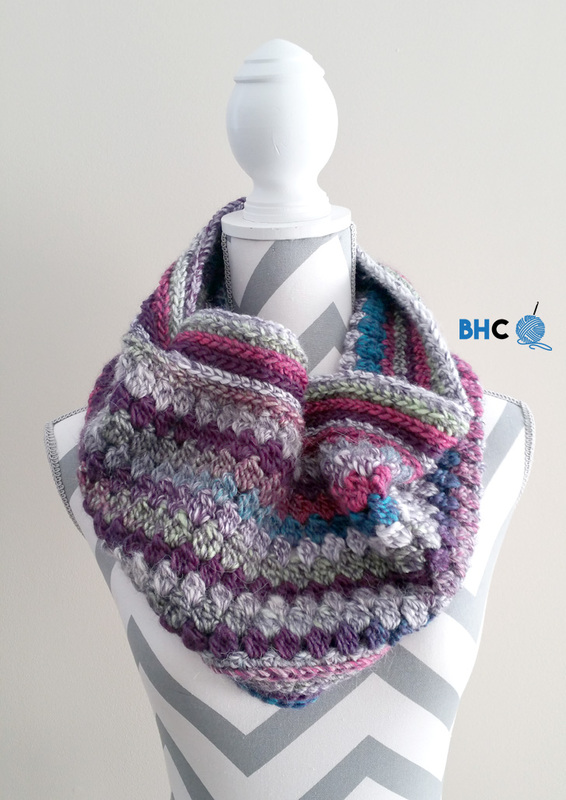 Your finished cowl will measure approximately 18″ long and 11″ tall when laying flat. The estimated circumference is 36″. 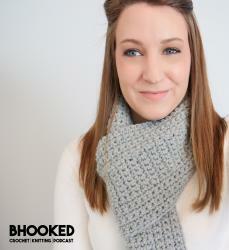 This cowl will fit most adults and teenagers. Dcc – YO and insert hook into designated stitch, YO and pull up a loop. YO and pull through two loops (two loops on hook). YO and insert hook into same stitch, YO and pull up a loop. YO and pull through two loops (three loops on hook). YO and insert hook into same stitch, YO and pull up a loop. YO and pull through two loops (four loops on hook). YO and pull through all four loops. Chain one. Round 1: Ch 100. Join with a slst to the first chain to form a ring. Ch 1 (place a stitch marker here to make identifying it easier). Make 1 hdc in every chain. Join with a slst to the chain 1 with stitch marker. Rounds 2-5: Ch 1. (Working the camel stitch) Make one hdc in the back bar only of every stitch. Join with a slst to the chain 1. Round 6: Ch 1. Make one sc in the back bar only of every stitch. Join with a slst to the first chain. Note: if you would like to chain the size of the cowl, make sure you choose an even number of chains and stitches. Rounds 7-16: Ch 2 (counts as first step in the Dcc), and finish a double crochet cluster. Ch 1, Skip one stitch and Dcc in next stitch. Repeat around and join with a slst to the first Dcc. Round 17: Ch 1. 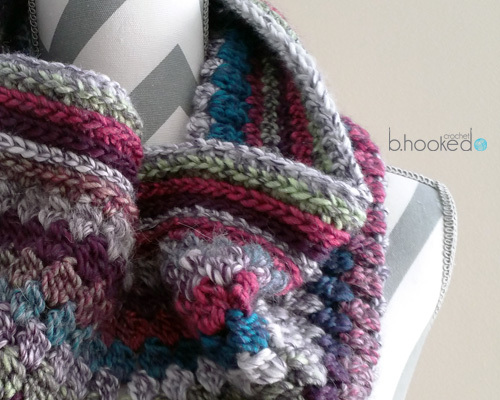 Make one hdc in every stitch and in every chain space. Join with a slst to the first chain. Rounds 18-23: Ch 1. Make one hdc in the back bar only of every stitch. Join with a slst to the chain 1.